Robert Schumann is one of the foremost early Romantic composers. His contribution to the Liedrepertoire is celebrated not only for the sheer volume of songs in his output, but also for the range of expression he achieves through subtle musical settings and a keen literary sensibility. 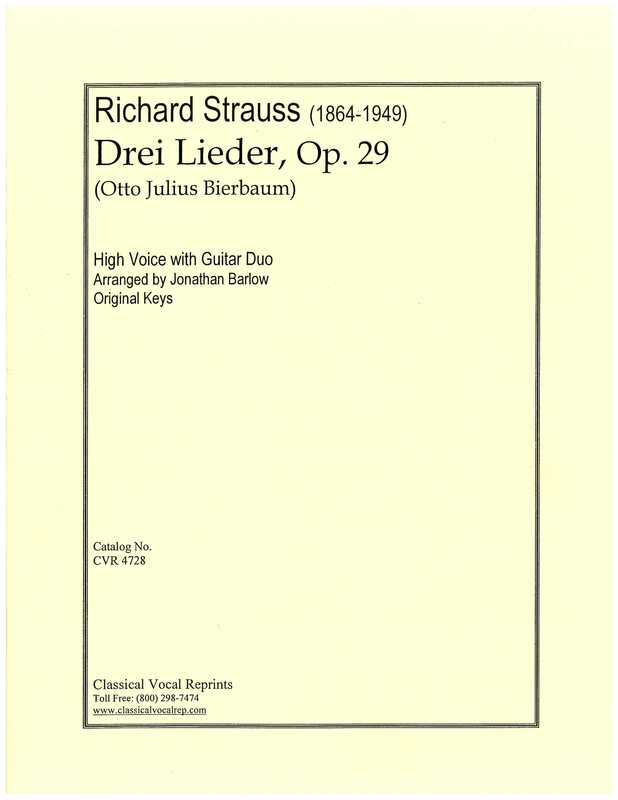 The goal of this edition is to provide vocalists and guitarists with an accurate transcription of Dichterliebe, an exceptional work rarely performed with the guitar. 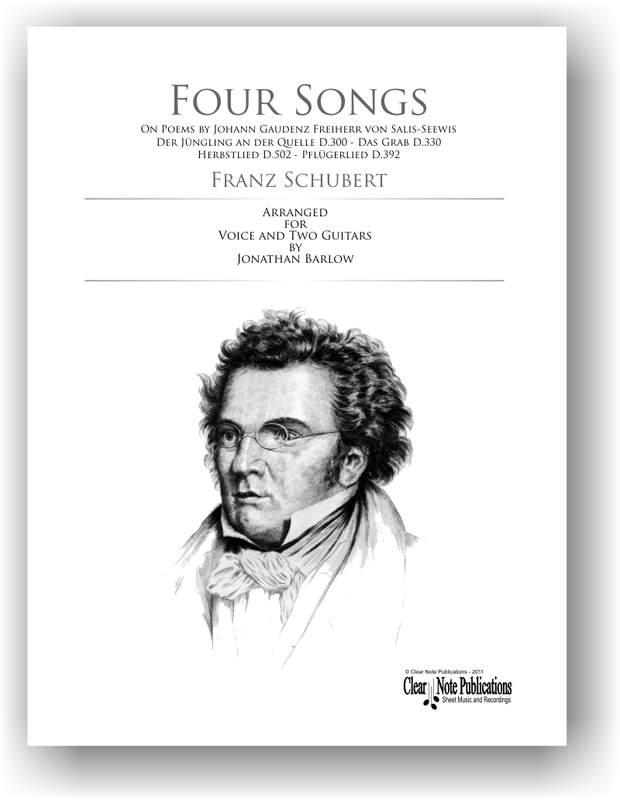 Every effort was made to retain all the original keys, voicings and interpretative markings from Schumann’s score, in order to facilitate the development of a faithful and informed performance. 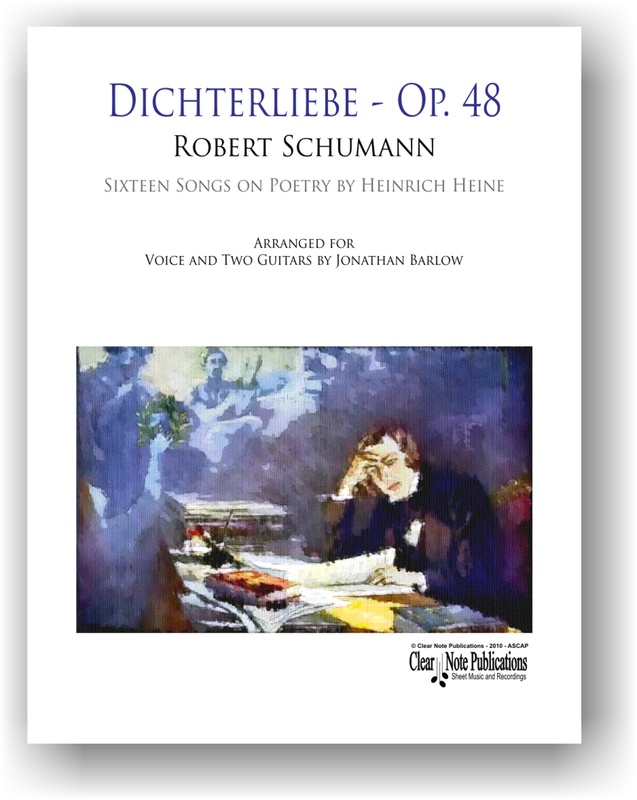 Below is Jonathan’s arrangement of Robert Schumann’s Dichterliebe Op. 48 for voice and 2 guitars performed in its entirety at the Conservatorio de Música de la Universidad Mayor in Santiago Chile on November 21st 2013. Matias Carrasco (tenor), Alonso Sanchez (guitar), and Felipe Vidal F. (guitar).